Fees associated with filing an industrial design application in Vietnam as well as other design fees are available in the fee calculator. - description of the features of a design to which the registration is sought. Multiple design applications are possible in Vietnam. The validity term of a design in Vietnam is five years from the filing date and may be renewed twice every five years (15 years in total). Substantive examination need not be requested additionally as it will be initiated automatically within 6 months from the date of publication of the application. The POA must be submitted within one month from filing an industrial design application in Vietnam. Notarization or legalisation is not required. The certified copy of the priority document should be translated into Vietnamese and may be provided within one month from the filing the industrial design application in Vietnam. Novelty grace period for industrial design is six months from the first disclosure/publication/exhibition. The official grant fee for the industrial design patent must be paid within three months from issuance the decision to grant a patent. To renew the validity of the design patent, the owner must file a request for renewal and pay the renewal fee within six months before the expiry of the preceding validity term. The design patent may also be renewed within 6 months after the renewal due date on condition of payment of an additional charge. 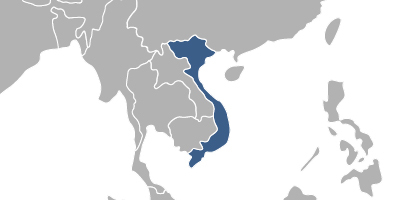 For foreign persons, it is required to perform the industrial design prosecution in Vietnam through an agent, a registered Vietnamese patent attorney. An industrial design means a specific appearance of a product embodied by three-dimensional configurations, lines, colours, or a combination of these elements.